When are my fingerprints taken? When you apply for asylum in a country of the European Union. When you are caught by the border patrol or the police while entering the European Union illegally (i.e. entering without permission, such as a visa). If you are caught by the police in a country of the European Union, without having a legal stay permit (like for example an asylum seeker card, a valid residence permit, or a police note). Fingerprints will only be taken if you are 14 years or older. Children under 14 years will not be fingerprinted. No, you are obliged by law to have your fingerprints taken. Every person who is 14 years or older needs to be fingerprinted. If your fingerprints are not of good quality, your fingerprints will be taken later again. This will also happen if you deliberately damage your fingers. The fingerprints will be submitted to a database called "Eurodac". 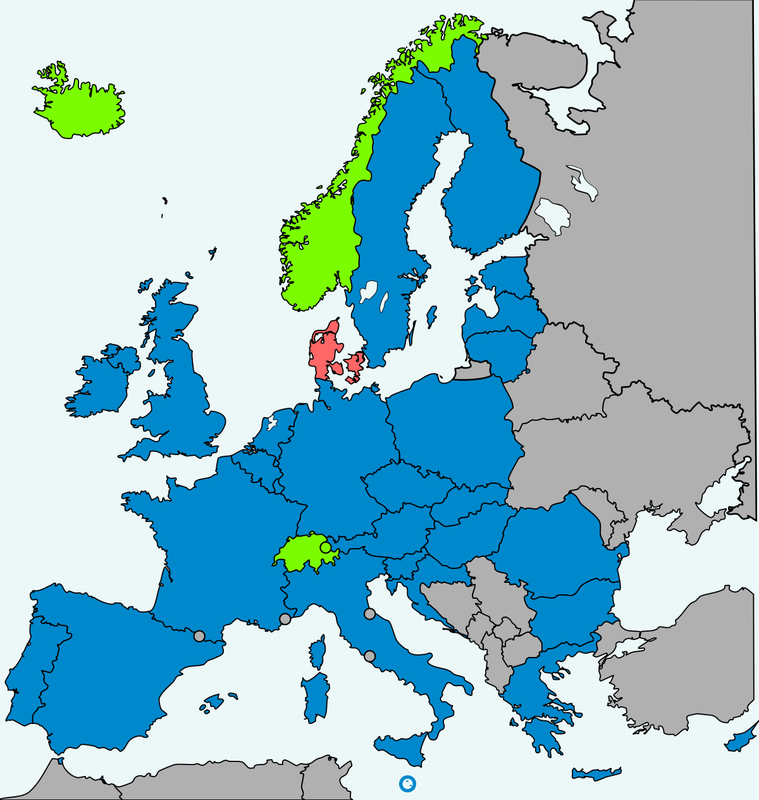 In the Eurodac system, it is possible to check if you have already applied for asylum in another European Union country or in which country you first entered the European Union. Why do I have to give my Fingerprints? When you apply for asylum in a country of the European Union, there is a procedure to decide which country is responsible for your asylum claim. This is not necessarily the country where you applied for asylum. This procedure is called the "Dublin Procedure" and the countries that take part in the Dublin Procedure are called "Dublin countries". Here you can find a map with all Dublin countries. There are certain criteria under which a country can become responsible for your asylum claim. For example, the country where you entered the European Union or the country where you first made an asylum claim can be responsible for your asylum request. There are also other criteria, such as having close family members in another Dublin country. Here you can find more information about the Dublin procedure. If you apply for asylum in a Dublin country, your fingerprints will be checked within the Eurodac system to see if another state might be responsible for your asylum claim. If the authorities will find a match in the Eurodac system, they might, depending on your individual circumstances, ask the other state to take you back. Also, if you are caught by the police without having a legal permit to stay, the police will check your fingerprints in the EURODAC system to see if you have already applied for asylum in another state. What does this mean if I move from Greece to another European country? If you move illegally from Greece to another Dublin country, for example Germany, while still being in your asylum procedure, the German authorities will also take your fingerprints if you apply for asylum there. They will check your fingerprints in the Eurodac database and find out whether you have already applied for asylum in Greece. Germany will then ask Greece to take you back. Greece still has to agree to take you back. In 2017, Greece received more than 2.000 requests to take asylum seekers back from other Dublin countries but only accepted 95. This year, in 2018, the picture remains the same. can I also be send back if I didn't apply for asylum in Greece? Yes, you can. If you got fingerprinted by the police when you entered Greece illegally and then you travel to another Dublin country, the authorities will see that you entered the European Union first through Greece. Depending on your individual circumstances, Greece may then be the responsible member state for your asylum claim, because you entered the European Union in Greece. As a result, the authorities of the Dublin state that you apply for asylum in can decide to ask Greece to take you back. Which data gets collected from me in the EURODAC? Your fingerprints and your gender will be stored in the Eurodac system, as well as the date and country where you have been fingerprinted. Your name, photograph, date of birth and nationality are not sent to the Eurodac database, but they may be stored in a national database. WHen do my fingerprints get erased from the EURODAC? This depends on why you were fingerprinted. If you were fingerprinted while illegally entering the European Union, your fingerprints will be stored for no more than 18 months. If you applied for asylum in a Dublin country, your fingerprints will be stored for a maximum of 10 years. Afterwards your data will be automatically deleted. If you are successful with your request for asylum, your fingerprints will still remain in the database until the 10 year time frame has passed. If you acquire the citizenship of a Dublin country, your entry in the Eurodac will be deleted immediatly.